I love taut spandex-wrapped backsides as much as the next chap, but that was one large helping of spiritual gobbledygook. Ella: Favors are about faith. 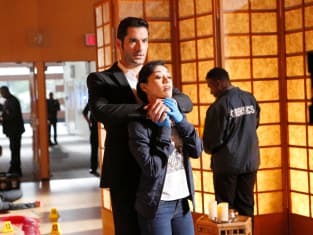 Lucifer: Please don't ruin favors for me. Permalink: Please don't ruin favors for me. So a few meter maids bite the dust. Who care? People off each other all the time. Permalink: So a few meter maids bite the dust. Who care? People off each other all the time.